Congratulations are in order once again for the Cañon City High School Tiger Pride Marching Band. 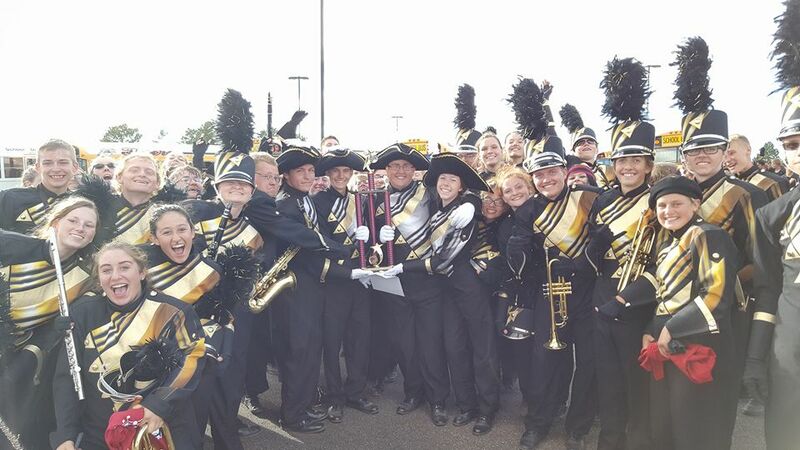 Last week our young men and women, under the direction of Josh Race, took first place in the Class 3A division at the CHSAA regional marching competition. Mr. Race. his staff, and our kids truly work hard. However, I have no doubt they are putting in a little extra effort this year in thanks for the wonderful support our community showed in raising $40,000 for their brand new uniforms. What a great investment that has been in our students! 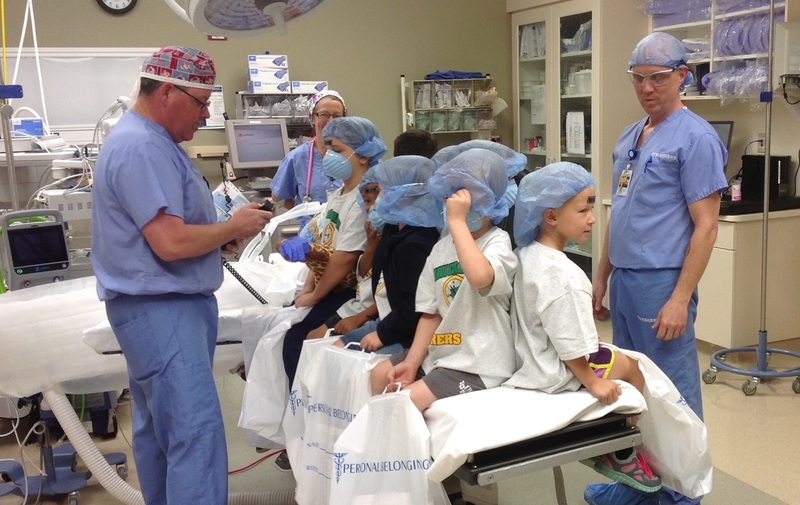 CES Kindergarteners experience an operating room at St. Thomas Moore Hospital. 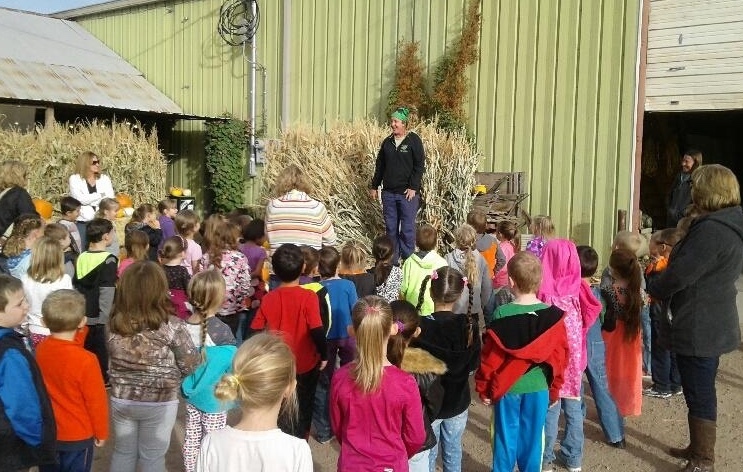 Harrison Kindergarteners paid a visit to Colon Orchards. I also want to offer a shout out to our entire district kindergarten staff for the many opportunities they have been offering our students. Between student classroom presentations, first responder guest speaker appearances, field trips to the hospital, classroom exploration activities, and even a visit to Colon Orchards, our children are clearly being given opportunities to learn by doing. There is simply no better way to start a school carer than with a great kindergarten experience that makes learning fun and relevant! 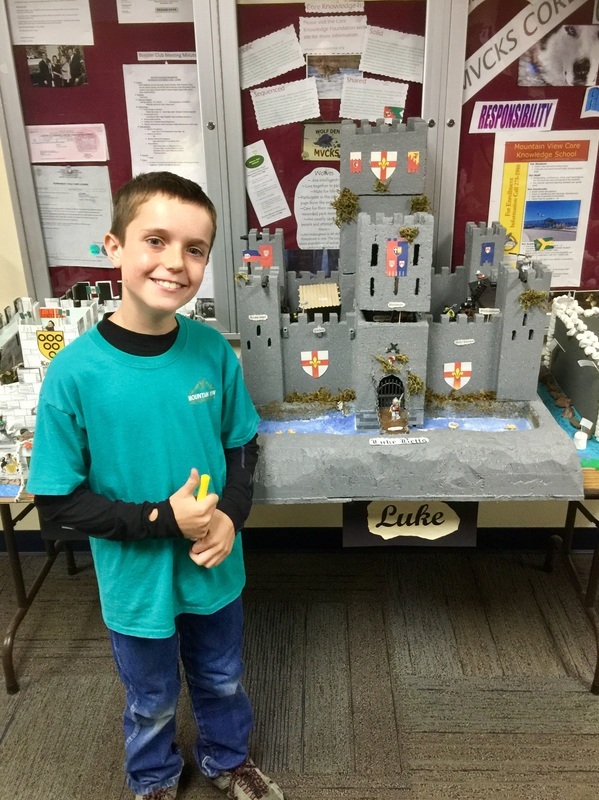 On a final note, I wanted to take a moment to thank Mountain View Core Knowledge teacher Cynthia Grooters for offering me a special invitation to look over the final work product her students put together as a result of a a unit on medieval times. Last week several of her children took me on a tour of the wonderful castles they constructed. In completing the project they had to clearly label key parts of a castle’s architecture, while also being able to describe the purpose of each. What a wonderful hands on way to cement student learning. Thank you Cynthia, for encouraging me to see this great work in action! 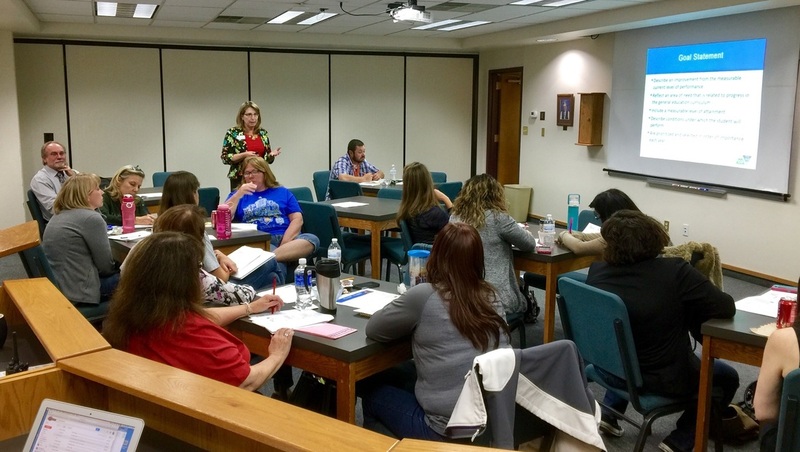 While students were enjoying a short fall break early last week our instructional staff was deeply engaged in lifelong learning, participating in a mid-semester district-wide staff development work day. On Tuesday our teachers at the elementary level had the opportunity to share what they have learned while using our new Journeys reading materials, and the effectiveness of math resources we have been piloting. Our high school staff worked in PLCs on pathways development activities, and issues related to weighted grading. Middle school staff focused on implementation of newly purchased math resources, and general building level initiatives. Not to be left out, our special educators honed their skills related to writing IEP goals and our PE staff worked together on engaging instructional strategies. I know not having school in session can cause a bit of trouble for parents. However, I think the great work our teachers do on such days, sharing effective strategies and honing their professional skills, far outweighs this occasional inconvenience. I want to thank everyone who was involved in this process. 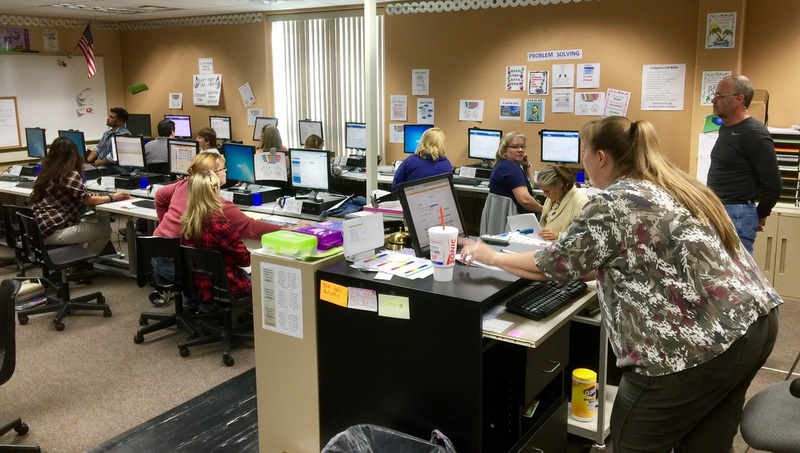 K-5 teachers learn how to use Journeys electronic resources to support reading. Special education staff members honed their IEP goal writing skills. Staff members work to check in parents during our reunification drill. Though there was no school on Monday due to our end of quarter teacher flex-work day, many key district personnel participated in an early morning emergency reunification simulation. Throughout the rest of the day I had a series of meetings with parents and staff members. There was no school on Tuesday as it was a district staff development day. I also had evaluation and parent meetings on this day. On Wednesday I traveled to and from La Junta to address the Healthy Eaters, Lifelong Movers summit. At the event I shared my knowledge about how improvements in classroom instruction and effort put forth toward health and wellness initiatives for children can lead to improvement in school and district accreditation. Cañon City Schools is a model when it comes to this. On Thursday and Friday I will spent time addressing personnel matters ad well as working on a special project for the Colorado Association of Senior School Administrators. On Monday morning I meet with some southern Colorado superintendents about CDE initiatives and legislative advocacy. In the afternoon I’ll meet with folks about a potential P-Tech grant for CCHS. In the late afternoon and evening I’ll attend a board work session and regularly scheduled meeting. On Tuesday I have a SAC meeting and an afternoon instructional leader PLC session. On Wednesday I have a meeting related about the Boys and Girls Club, as well as a session where we'll share our superintendent evaluation process with folks from the Ellicott School District. On Thursday I’ll attend a Workforce Center Board Meeting, and then meet with our financial staff about several of our current grant processes. On Friday I’ll spend the entire day in Pueblo visiting and learning about a STEM school with some of our CCHS staff members.